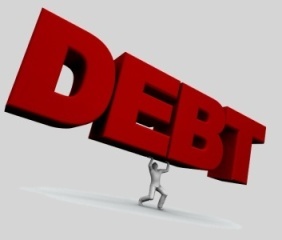 Our debts have built up to a level where they feel out of control (about $30,000). There doesn’t seem to be any way to get on top of things and I can no longer even afford to go for a beer with friends. We don’t have much to show for the debt as we’ve bought cars ($17,000) and overspent on our credit card ($8,000) and got interest free furniture ($5,000). I’ve suffered from depression in the past and feel like it’s creeping up again. I’ve heard about these companies that consolidate your debt into one payment, but people have told me the interest can work out more than a bank would charge. There are some religious organisations’ that help people, but I’m not sure about them. My wife says we need to figure out what to do, but I can’t even talk about it, as I don’t know what to say. I keep thinking we might be made bankrupt. Have you got any suggestions? Here is a bit of really positive news for you. This year the Federation of Family Budgeting Services saw over 55,000 client cases. That’s 55,000 times that New Zealanders took the billy goat by the horns and decided to sort out their debts. So if a town the size of Nelson or Rotorua can pick up the phone, so can you. 1. Start talking. Telling your wife you’ve been avoiding it and don’t know the answers, qualifies as ‘talking’. Clamming up until you’ve discovered the solution on your own is all very gallant, but the lack of communication will be sending all sorts of unintended messages. We women are quite good at inventing conclusions when faced with silence. 2. Get to the doctor – your health comes first, as without mental stability, you won’t be able to deal with the money worries or put them in perspective. Take your wife to the appointment, as you need support. Catching the early signs of depression is crucial given you have a history of it. 3. Don’t take out any new loans and cut up the credit card. 4. Make an appointment with the NZ Federation of Family Budgeting Services or phone on 0502 283438. The service is free. Before you go, see if you can fill out the budget information using their online tool. Collect all your bills, bank statements, salary, and copies of debts in a folder to show them. Their advisers know how to handle creditors and can arrange repayment plans that you would struggle to sort out on your own. 5. Don’t be afraid to use a religious based service such as CAP (Christians Against Poverty). This is an international organisation (services are currently only in the North Island at the moment). They offer free debt counselling and courses which provide education. They help people right through the process, including bankrupcy if thats the only option. There are good people involved with this organisation. One of my ex-banking colleagues with 25 years financial experience is involved with CAP in Auckand, so it’s not a bunch of god-botherers meddling in money. A good quote I read about CAP said “religon is why they do it, not how they do it”. They won’t bat an eyelid if you’ve never been to church in your life – your debt and wellbeing is what they care about. 6. Never assume you will go bankrupt. There are lots of steps to go through before that becomes a reality. Just to reassure you, lenders want their money back and they don’t want to see you made bankrupt, as they lose out. One method of bringing things under control is a “Summary Installment Order” set up by a government department called Insolvency and Trustee Services. This is a scheme where you can repay up to $40,000 of debt in installments over 3-5 years. Lenders are not allowed to add penalty payments to your debts. Have a read about this at www.insolvency.govt.nz. Getting your debt issues sorted is likely to the easy part of this problem. Its a step-by-step process and you just need to concentrate on the next task your budgeting adviser tells you to complete. The experts rarely see a debt problem that can’t be sorted in some fashion. Very few cases ever end in bankrupcy. Your challenge is to get to the root of the problem and ensure you take up some longer term counselling. Your depression could well be a contributor to your relationship with money, so raise this with a counsellor. Another layer of the problem is how your wife's spending and decision making is intertwined with this. Figuring out what triggers you both to live beyond your means, is the only way you can stop this happening again. It would be a huge shame if this cycle repeated itself. Email questions to starkadvice@gmail.com, subject line: Financial Agony Aunt. Anonymity is guaranteed. As a volunteer budget advisor for the last 6 years, I would add my voice to the above. Do not wait around for things to get worse. Pick up the phone and talk to a budget advisor. There are lots of different options to deal with debt but you have to start by laying it all out on the table and then working through the potential options. A good example of this is a client I had many years ago, in a similar situation to the write above. He spent years ingnoring his debts and by the time his mother forced him to get help, it was too late, and full bankcruptcy was his only option. In the end though, he was better for it. The longer you leave it, the harder it is to deal with. Consolidating debt without addressing the behaviors that brought about the debt in the first place is fraught. If you do nothing else - TALK TO YOUR PARTNER! Being on the same financial page at the same time is crucial. 1 Save up or sell some of your useless "toys" to scrap together a 1k emergency fund. 3 Do a budget or get help from a service that will help you, and stick to it. Basic rule once your out from under the debt is do not go into debt for consumer items (if you can't afford to pay cash, you can't afford it) and that includes interest free terms. 3 years ago I broke my back in a head on, my business crashed, my outgoings were frightening. I did have sgnificat savings though. Still it was very scary. I paired things back to a more manageable state. My mantra to myself.....X just get started, I found getting started was the hardest of all. I also found the thought of pruning my spending, was worse than actually doing it! After making changes I wondered what the fuss was about, not soo bad! I think the depression has , at least in part, a hopeless trapped part to it, when you get started this can change quickly. Yes, get on the Fluoxetine fast. If you EVER hear the words "economic boom" again, remember it's a lie. Save as much as you can in many currencies, invest only in things that hold long term value such as PHYSICAL gold. and get rid of ANY debt you have EVEN if it means selling the house and down sizing. Do these things early (before the bust) and you will be sweet. Create a sure business bet WITHOUT a bank loan. What are those? Generally they are 'necessity' food related businesses (not restaurants) i.e market gardens, healthy takeaway food such a souvlaki( always popular) . Food niche's! People need to eat regardless of economic times. Why do this? because your daytime 9-5 job is likely to go bye bye. And remember this crucial thing: If the 'masses' are all doing it, YOU should not, do the opposite as the profit ship has long sailed over the horizon.